When we opened our new business Sir Pizza Brandon did s great job designing our website. I would recommend his services to anyone needing help marketing their business ! Brandon Collier created an incredible website for me. I truly believe I have one of the best insurance websites out there. It is current and the content and graphics are awesome. He also has the “know how” to make sure my website gets looked at and my business is growing because of it. I am extremely happy with his service. I have been working with Brandon for long time, he is a very professional, creative and honest person. 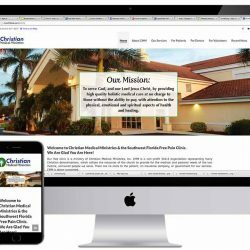 He has done a lot for our business, and therefore, I would recommend him to anyone looking for a good web design and online marketing development.